We've moved on, now, because things are only relevant for a few moments in our low-attention-span culture. Yet today I found myself reflecting again on the death of John Allen Chau, an evangelical missionary who attempted to bring the message of Jesus to a notoriously violent tribe on an isolated island in the Sentinel island chain. He was killed, of course, because that's what that Sentinelese tribe does to anyone who steps on their shores. Was he naive and foolish? Perhaps. You can't convey anything to a people if you don't speak their language. If you know that, and still go? Sigh. Do I share the theological assumptions that drove his obsessive pursuit of this people? Not entirely. I'm sure he fretted that their souls would be lost forever if they didn't hear the Gospel and take Jesus Christ as their Lord and Savior. That terror for the souls of unbelievers has been around for quite a while, inculcated into evangelicals at an early age. But I found myself struggling more deeply with the response of some progressive Christians to his death. There was clucking and shaming...on #twitter, of course, because that's what that medium does to our souls. There was this odd willingness to condemn Chau for...for what? For trying to share the Gospel, because colonialism racism indigenous peoples something something. There were folks going so far as to describe him as manifesting a "white supremacist Christianity," which is odd, given that Chau wasn't actually "white," not by any current variant of that pernicious, false category. From the current ideological framework of the decadent American Left, though, he was in the wrong. But if you're a left-leaning Christian, there's going to be an inherent dissonance in your thinking on this one. Because, well, let's look at the Sentinelese for a moment. What do we know about them? Meaning, let's set aside the odd skew of ideology, and consider them. We know that they're "indigenous," meaning they're from there, having migrated from Africa centuries ago. We know they're socioculturally isolated, with a language that is functionally unknown. We know that they are few in number, with perhaps no more than 200 total individuals, and possibly as few as 40. This means...after dozens of generations of isolation...that they are a genetically compromised population. They're inbred, and likely to become more so. 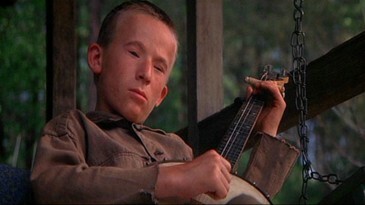 Think about the locals in Deliverance. I mean, really. That's them. Like the Deliverance locals, they murder outsiders. That's their response to the stranger and the Other. They murder them. They've killed local fishermen whose boats have failed. If you washed up on their shore after a plane crash, hungry and desperate with your clothes in tatters, they would murder you. Chau was there to tell them about Jesus. That was his thing, and in the dwindling, dying wing of progressive Christianity, proselytizing is a bad thing. But...did the Sentinelese know that? They had absolutely no idea why John Allen Chau was there. They couldn't understand a word he was saying. They knew he was Other, and so they killed him. Herein lies the tension that seems oddly unaddressed by those Christians who wish to posthumously scold Chau. If you believe that colonialism racism indigenous peoples something something gives a people the right to murder strangers, then that belief lies in tension with your claim to be a disciple of Jesus of Nazareth. Such a community is not "good," not if "good" is understood in Christian moral terms. Let's set aside the "getting saved" angle for a moment. From what Christian ethical basis is the slaughter of the Other permissible? Where, in the Gospels or Epistles, is permission given to attack and kill the stranger? There are such texts, certainly. You can go to the Deuteronomic histories, or to some of the more challenging scriptures in Torah. You can make the case that the Zealots made, or that Ezra made when he demanded that foreigners be cast out so that the people could be pureblooded. But is that where you wish to be? The challenge, for the Christian Left, is this: there is nothing about the Sentinelese response to the Chau that jibes with the Gospel. Nothing. It's a fundamental Matthew 25 violation. It was "tribal" in the worst way, insular and violent and brutal. Does such a community have no need of the teachings of Jesus? What about their cultural/ethical response to the stranger is inherently worth preserving? It's as radically wrong and as in need of the Way of Jesus as, say, refusing to allow a shipload of Jews seeking refuge from the Nazis to land on your shores. Or teargassing asylum seekers at the border. Or letting a little girl die of thirst in your custody. Such an odd, odd dissonance.